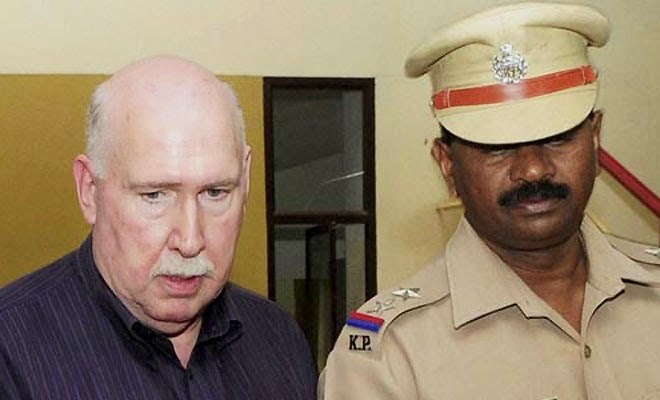 Warangal: A court here on Thursday rejected the bail petition submitted on behalf of the managing director and chief executive officer of Amway India Enterprises William S Pinckney who was arrested in a criminal case recently. An engineering graduate, Anurag, lodged a complaint against the multilevel marketing company on the charges of cheating people with illegal money circulation scheme in the name of selling products. He said in his complaint, the company in the name of selling products was actually into illegal money circulation scheme. The Subedari Police Station after receiving the complaint filed the criminal case against the US-based company and arrested the MD and CEO of Amway India William Pinckney.. The counsels of Amway India filed the bail petition in the court for the release of William Pinckney who has been in jail for the last six weeks. However, the court rejected the petition. But what is the fun of all this, as amway is functional everywhere in India and people are being lured in to it in the name of earning lacs of rupees, whereas truth is that they are spending/purchasing for filling the pockets of a few at top level and Amway. If more and more people who are cheated come forward to file criminal cases, the company would close its operations. Unfortunately, the victims do not know that they are victims. They are thoroughly brainwashed to make them feel that it was their fault that they could not succeed in this 'great business opportunity'. But why is it necessary to file more criminal cases against the company? what are the authorities doing? Don't they see that highly priced products are being sold and people are being lured to buy those products in most illogical pattern (to fill the pockets of a few top level ones and the company itself)? when Hon'ble A.P High court has already declared the business pattern as illegal;which has also been upheld by Hon;ble supreme court( if it is so), how can they continue? Don't authorities see that the people are being brain washed in the so called meetings? If Amway business model has gained acceptance in more than 80 countries then how this can be stopped in India? When someone buy a product from market seller makes money; similarly here in Amway if you buy a product from Amway; people who sell those product make money. What is wrong in this? It appears he is not aware of the judgements against Amway India. He is thoroughly brainwashed by BWW and whatever to believe that Amway is a good business opportunity. Open your eyes and look around. Anyway, I am not a generalist but a Journalist. Honda is available in the open market with this price and so is maruti. But Amway products cannot compete in the open market for being overpriced by 3-4 times, and these products are in general being purchased/used by those who join amway and in this process new joiner is hit most. He/She is buying the highly over priced product with the false hope/dream(in general) that he/she shall also become diamond.but practically if more 10000 join under him/her and go on buying highly priced products then he shall become a diamond. yes that is also a reality, people are diamonds and that is the idea behind it,project/magnify one hero and make maximum profit by selling product at 3-4 times higher price than it deserves and also you don't have to compete in the open market.Is this not cheating innocent people? You all are right.. There is no end of this type of discussion ever. And if I say something in fevor of Amway; I shall be declared brainwashed as per your theory. So no comments this time. Either One should follow all your ideas let them be wrong or right otherwise you have all the authority to declare him as BRAINWASHED GUY. You all are against MLM and fighting for people who loose money in the industry. I think it is a noble cause but Plz don't use the same lenc for all the people. ... And this is my second last post on this forum because last will be on the day of your VICTORY against AMWAY.. GOOD BYE. Let me tell you that I am not a lawyer and I thank you for your compliments. Dear Sir, Ashvini Gandhi and Sangeeta Gandhi are my neighbors at ground floor of the same building. In the evening of 25 May 2015, when my husband was away from home for his professional work both came at my home and introduced themselves as Business Partner of Naswiz Holidays Private Limited for binary reference business similar to the multi level network marketing business and given me his visiting card bearing name of the company Naswiz. At the same time they had also shown me an album of photos with some description such as Crown Ambassador, Ambassador, Diamond, Platinum, Gold titles of several persons in costly suits. They had also shown me a rosy picture that I will be awarded a BMW car by the company if I bring more and more persons in their business network. I was unaware of their dishonest intention from the very beginning as I had faith in Mrs Sudesh Malik (the mother of Sangeeta Gandhi). Ashvini and Sangeeta explained me the business model and told that I need to purchase two schemes of Naswiz of Rs7950/- each under his scheme ID, then I will get a regular income of Rs.40, 000/- per week after three months from the generation of my scheme ID and additionally I will get a tour package of four nights five days in three star hotels in India. Accordingly, deceived by their rosy pictures, I handed over a cheque bearing No. 407759 (of State Bank of India, Hari Nagar) of Rs. 15,900/- from my bank account in favour of “Naswiz Holidays Private Limited” in the hands of Mr. Gandhi. Mr. Gandhi handed over the cheque subsequently to the Naswiz Holidays Private Limited. The amount of Rs 15900/- was credited in the account of Naswiz Holidays Private Limited on 28 May 2015 as I received a SMS regarding debit of Rs.15900/- from my account on my mobile phone. Further, within a week, I also received a Tour Kit with invoice of the company. One day after generation of my Scheme ID I received a call from the executive of the Company from a Delhi landline number the female representative was saying she is calling from Chandigarh to confirm the scheme.After generation of the Scheme ID, Mr. Gandhi started calling at my phone 99___________ from his mobile 93____________for soliciting new customers so that their network can be enlarged. When I asked Mr. Gandhi and Mrs. Gandhi when I will receive my income from this investment, they said wait for one month, I waited for one month again they said wait for another month, I again waited. Finally, I asked after two months, they said you will get your income after this one month. That third one month has also passed and I asked for my money then they said you did not work for the company Naswiz and not brining new customers in their network, therefore, you will not get any income. I was shocked to listen this from their mouth as they had made big big promises in the beginning. I had not shared this scheme with my husband as I wanted to give him a surprise of new income. As a last resort I went to Mrs. Sudesh Malik for getting back my Rs15,900/-, she also reiterated the same versions of Gandhis but when I said my husband will take legal action she said to wait she will talk to her daughter and son-in-law(Gandhis). However, still they are adamant to justify their offences that it is not offence but it is business. Then I shared this incident with my husband on 17/09/2015. He said the binary/multi level marketing networking business is illegal in India and it is an offence under some law as Amway India, Tupperware, Oriflame, Medicate, Mary Kay Cosmetics, K-Link Healthcare, Avon Beauty, AMC Cookware etc is also facing prosecution for this offence. In nut shell all the three above mentioned persons in their common intention have committed cheating upon me by deceiving and taking my hard earned money. They have also some other allied offences under special laws which constitute cognizable offences. I had registered a FIR No. 1310/15, PS Hari Nagar, New Delhi against Naswiz Holidays Private Limited and its agents. They deal in MLM business under the garb of Holiday package as product. If anybody needs guidance may contact first at my e-mail dheeraj.pleader@gmail.com. Then I will provide at e-mail my mobile No. Congratulations Dheeraj Kumar for taking initiative to file a criminal case against these perpetrators. The criminal activity attracts the provisions of Prize Chits and Money Circulation Schemes (Banning) Act, 1978 and Section 420 of IPC. Why these two gentlemen remain behind bars?